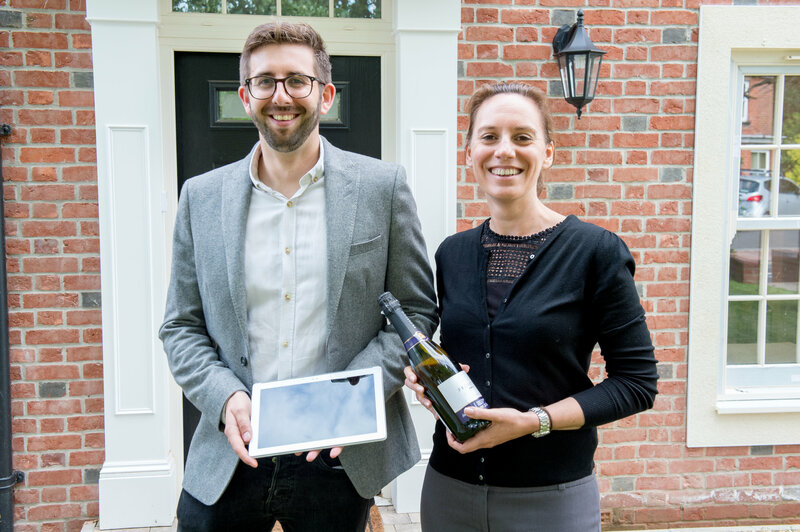 After making the decision to go digital and provide homebuyers with Android tablets and Hoozzi, we went to visit Simon Harding at Twin Oaks, the latest development by Ibex Homes, to see why they made the change. Ibex Homes has partnered with Classic Folios since 2010, taking completion manuals for many years. Recently the Southampton based developer made the switch to a tablet solution integrated with the new online portal, as it made sense to provide a product that works alongside their digital homes. Hoozzi is Classic Folios’ brand new online portal and we’re thrilled to see the opportunities that this can provide for our clients, including Ibex Homes. Completing at the end of June, the buyers at Twin Oaks were the first to experience the developers change to a digital handover. The tablet/Hoozzi combo will enable the purchasers at Twin Oaks to access plot-specific information, how to videos for appliances and new home care tips, as well as receive instant notifications from Ibex Homes about their plot or development.